I hope you are enjoying your journey on the worldwide One World One Heart event. First, I want to thank Lisa Swifka, the organizer and hostess of this amazing event which brings bloggers together all across the world. Now let me introduce myself. I am Stampgram (Connie in real life!) from the Wild & Wonderful state of Wyoming! I am a wife, mother, and doting grandmother of six. I am an active member of my church where I work in the Family History Center helping people trace their ancestors. As a mixed media artist I am a lover of all things crafty. 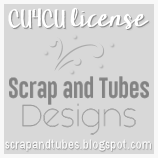 I am also a co-moderator for a Yahoo group of mixed media artists called Paper Traders. Much of the art found here is from my submissions for Paper Traders' Projects. I have participated in One World One Heart in the past and have had so much fun with this event, meeting so many wonderful people and finding some truly lovely blogs as well. This drawing is open to all active bloggers worldwide! I am offering the following two books for the event. They will go to two different winners. First we have Wreaths 'round the year by Dawn Cusick and Rob Pulleyn. 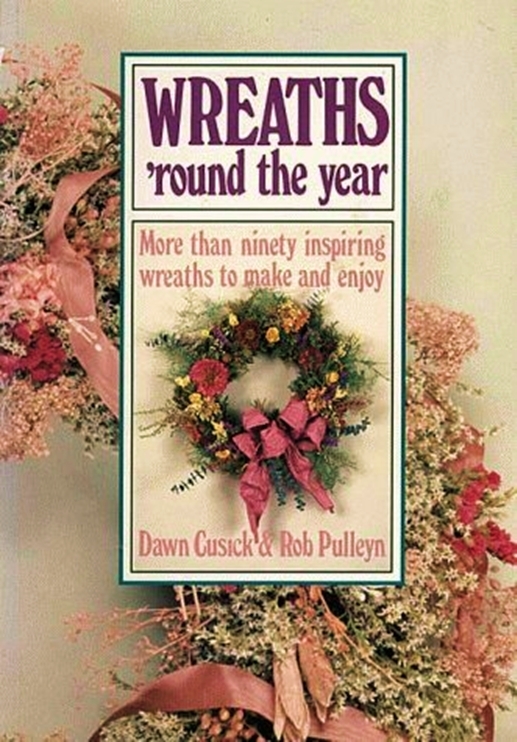 This is a lovely book that has dozens of designs for making your own wreaths for just about any season or occasion. 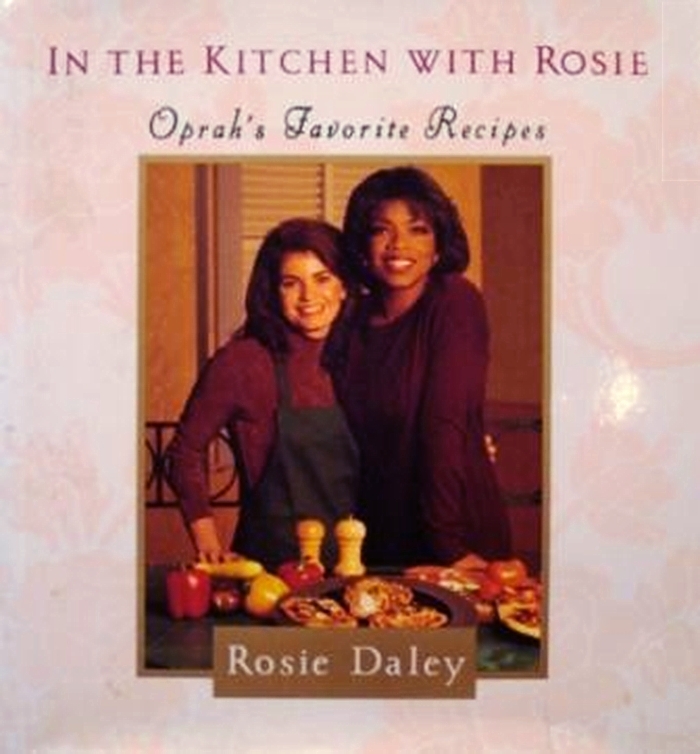 Next we have In the Kitchen with Rosie, Oprah's Favorite Recipes. This recipe book is chock full of good foods to prepare for those you love from the soup clear to the dessert. If you have a preference please indicate that in your entry. When I draw the names for the winners on February 17th the first person will get their preference. Thanks for entering my drawing, and be sure to include a link to your blog and a way for me to contact you. And when you are done here hop over to the Paper Traders Art Blog and register for an awesome giveaway there too! YES, YES, YES! what great books, put me down please and be sure to pop on over and see my blog,waving madly! Fun prizes! I love this event! I enjoyed visiting your blog, and I hope you will visit mine, too (#307). Hope you have oodles of fun during OWOH. I've enjoyed it so much over the years. Thanks for your generosity and participation in the event. Count me in please. Your giveaway is wonderful and I would love to be in with a chance to win one of the books! All that I love : gardening, cooking and decoration. My preference goes to the book about wreaths. Both look great giveaway gifts..I couldn't choose! What a great giveaway, I would like either one, I don't know which to choose, so please add me in. Thanks for stopping by and leaving your kind comment. My pick would be the cookbook. Happy OWOH to you! Thank you so much for visiting my whimsical world...your name is in the Chazman's bowl!! Love Books...what a great gift. Keeping fingers crossed. It's sooo nice to meet you!!! Happy OWOH!!! This cook book is amazing! Under the OWOH post so you can qualify for the contest? I love your prizes. I would love that cookbooks...looks so good! hi, thanks for entering my OWOH drawing, your giveaways are very interesting, I would love to win these ! please add me in ! you have a lovely blog, and makes beautifull paper art. If I were to be the lucky one, I'd love the wreath book! It's lovely to meet you by the way and thanks for already stopping by my giveaway - good luck. Ciao! I am so happy to meet you today on the wings of OWOH! Thanks for visiting me and giving me a chance to win your wonderful giveaway - they are both great books, but if I had a choice I'd prefer the recipes!! Very happy to meet you this morning. Your books are wonderful and I would love to receive the recipe book! Please add me to your draw and have fun hopping-hop on over for a visit to me at number 92. Thanks for passing by on my blog. I love your giveaways. I've been wanting to put wreaths out other than Christmas time, great book! Happy OWOH, nice to meet you! Thank you for coming over and leaving your comment. Hope you have a wonderful week. Wreaths Round The Year looks really interesting. Hello Connie, you have some cool rpizes - love it, especially the cookbook. Thank you for stopping by my blog. Oh what a great blog and an awesome giveaway! I am addicted to books. Please enter me in your drawing. Hello!! First off, I have fallen in love with your Paper Trader's site and when all the hoopla from this event dies down, I would love to join. Please enter me in your give away, I would love to win either book! Hi Connie! Sorry it's taken me so long to get over! I hope I'm not too late for the party. I'd love for a chance to to win your giveaway...I'd prefer the cookbook! Take care and have a terrific weekend! I'm off to check out your other blog! Thanks for paying a visit to my blog (3AM Designs)! I enjoyed my visit here! Love your ATC's! I entered the Paper Trader give-away earlier, and even submitted my name to join your yahoo group! Hi Connie! I would be grateful for either book, thank you! I am totally impressed with these books. I would love to win one! I'm number 11 and my contact information is on my profile page. Great to meet you here! Thank you for your offering. Please add my name to your hat. Hi Connie. Thanks for your lovely comments on my blog. Yes the header is all my own work - dyed silk, dyed mohair (from our goats), and felted then handstitched with scrim all surrounding some crazy patchwork. Great blog with great thoughts. Yes please enter me for the prize. Hello from Oregon! Thanks for inviting me to peek around in your blog and enter your giveaway! Books are always a wonderful prize. Feel free to come to my blog, look around and enter my giveaway for some homemade cards. Please add me to your list as well! Hi Connie. Thx for stopping by. This has been fun. Glad I entered. If i'll be a lucky winner I'd love book with recipes ! Thank you for stopping by my blog, loved your comment. Hi, Thank you so much for stopping by at my blog! I have come to pay you a visit! I would love to home you 'door prize'. thank you so much for you lovely comments! I hope today brings all you wish for! Hi Connie, thankyou for stopping by my blog today ! so nice to meet you ! would love to win either one of these ! love being part of OWOH meeting so many beautiful people ! Love your blog! What a great prize! I am hopeless with wreaths and could use the help! The cookbook sounds awesome too as I am certainly no domestic goddess :)Thanks so much for the chance to win. Thanks for stopping by my blog! Your blog is very nice and I really like the books! Hi Connie. Thanks for visiting my blog and sign me up for 'In The Kitchen with Rosie'. I'm enjoying perusing your blog and seeing your artwork. Hi Connie, thanks for stopping by my blog. I love your blog and would love to be entered in your giveaway. I loved your Ornament (post dec.20th) and the tags you made for your group Paper Traders. Beautiful and detailed work Connie !! It was very enjoyable to read and discover your blog and thank you for sharing. About your giveaway; A book would be a present to treasure !!! just want to say thanks for stopping by my OWOH. no need to enter me the contest, I already have too many books on my reading list. Thank you for dropping by my blog. I love the books you have chosen for your door prize. Hi Connie, it’s nice to meet you! I appreciate your stopping by my blog. I've enjoyed your blog. Thanks for entering me in your giveaway! Enjoy the rest of your OWOH tour! I don't seem to have enough cook books, please count me in! Hello nice to have met you! I studied history and as part of that had to do a local history project , since then I am hooked on genealogy. 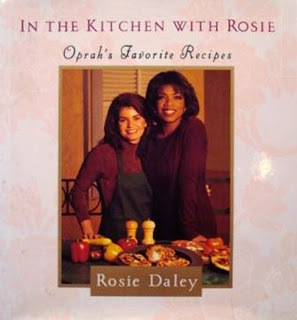 I'd love "In the kitchen with Rosie" if we are lucky. Hi from East Tennessee and thanks for visiting my blog. The books are wonderful. Please add me to the drawing. Hi there! It's so lovely to meet you! You sound like a very busy lady. I'll bet your enjoying the new show "Who do you think you are?". If you haven't seen it, tune it, it's wonderful. Thank you for your visit to my blog. I am having a blast reading everyone's blogs. This is such a great event. It is wonderful to meet you and visit your lovely blog. I would love to be entered into your OWOH giveaway. Please do stop in and visit during your journey. Hi Connie - thanks for stopping by my blog. You must keep very busy but I imagine it is all a lot of fun! Your books make a great offering and either one is just fine with me! Ohhh crafty goody books! Please enter me! I'd be thrilled with either book! I hope you can come by and visit me when you get the chance as well. Wreaths book because I already own the other one ;) Sweet Giveaway~Hello from Ontario Canada. Please count me in for your giveaway. Thank you for dropping by my rarely visited blog and for joining my own OWOH too. I love books! I love both but given the chance to choose, I would love to have the cook book. I can share it to my mom who is tha main cook of the house. :)Please count me in. I’ve enjoyed looking through your blog! Stop by and visit mine for a chance to win my door prize. In the meantime, I hope this journey is as fun for you as it is for me! Hey Stampgram you have a wonderful blog, and I love the fact that you work for your church in the Family History Library and help people find their ancestors. I am looking for some of mine. Thanks for stopping by my blog Blossoms Bloomers and commenting on The Royalty Pin The Queen Wears Boots. 846 on the OWOH list. You have a fun blog, pretty crafts, and good words of wisdom. Glad to have found you. If I had a choice, I'd appreciate the wreath book. Thanks for a chance to win your prize. Take care out there in the wild west, Wyoming! Please put me in your drawing!!! I would love either book... my mom made wreaths for every holiday for many years and it brings back memories and I'm a cook, I would love more recipes! :D Thanks for stopping by my art blog! Greetings from Sardinja in Italy!!! I want thank you for you visit in our blog. I’ve admired your nice blog and I find it very interesting! Do you want to put my name in you list, please! I hope to win in your play. I'd love to learn how to make wreaths! What thoughtful gifts. thank you for visiting my blog during OWOH 2011 blog hop. hello from the Philippines! thank you very much for the chance to win your giveaway. i already have that recipe book so i would love the one about wreathes. if you haven't yet, i hope you can drop by my blog at http://peggyapl.blogspot.com/ (#544) and join my OWOH giveaway. hugs and blessings! Hi,Mom! I made it this far... now, onward with the journey! I'm glad to meet you. Please enter me into the OWOH give away. Also, I hope you can visit my blog, too. I'm giving away a shabby chic denim necklace. Come any time to chat. Hello from southeastern Massachusetts.Thanks for the opportunity of winning one of your giveaways, and for stopping by my blog for a visit #634. Thanks for stopping by my blog on the OHOW tour. I love to see what you're doing in WYO. I guess my favorite of the two books would be In the Kitchen . . .
Hi Connie- Thanks for sharing:) Your blog is very creative as are your works of art! I would love the chance to win one of your beautiful books- I collect recipe books.Thanks for checking our my blog too. Pam from Design Spark! OWOH #776. Love the books enter me in your giveaway!!! Thanks so much for stopping by and entering my OWOH! What sweet giveaways you are having. I like the Oprah cook book...she is so lucky to have her own personal chef! But I don't mind cooking for my family...I just run out of ideas what to make! I can be found at Cloth and Clay doll ning site...dolls made out of a cloth body with a Creative paper clay head, torso, hands, and feet...people are welcome to join anytime for just $10...a richly rewarding experience with many tutorials. Thanks for stopping by my place...it is so nice to meet you! We can never have too many craft books, can we? Or are you parting with one you truly don't have room for!? Ha, Ha! OWOH has been great fun. Hi Connie- Thanks for stopping by OWOH #498! Great giveaways! Enjoy your flight. I got your comment, Thanks gal! I have my little Toots for the day and nite...having fun. Oregon has another week before the flowers show their sunny faces. I am soo...looking forward to warm days. Hello from England :) Great giveaway! I love books so would be pleased to win either one. Please count me in. Hi Connie! It's so nice to meet you and thanks for coming over to #805 to say hi! I love your pretty blog and adore those bird ATC's! I like both of these books! Please enter me into your draw-- thank you so much! Thanks for offering such lovely book prizes. :) If I had to pick one, I would probably choose the book about wreaths. Hi Connie, I would love to win your books and art goodies. How sweet! Please visit my blog, too. I am the author of "16 x MOM: A Mastery of Motherhood." I am giving away my book and a couple of laminated 4 leaf clovers. I would llike to win Wreaths around the world. I'm lucky enough to have the other book. you have a lovely blog and fab doorprize! Hi Connie! It's a pleasure meeting you on my first OWOH journey! You've got a great blog! Love it! Thanks for dropping by my blogs during the OWOH 2011 hop! Hope you’ve had a great time! It’s a pleasure meeting you! Keep your art alive! Lovely giveaway! I visted your daughter also! I do love to cook so the cookbook would hit the spot! Also I wanted to thank you for visiting my blog for OWOH! Sending you some Dutch love. Hi from the UK! Thanks for stopping by and entering in my OWOH Giveaway. I've enjoyed my visit here. Your blog is beautiful! Ilove the wreath book, not into cooking! (Grins) I am blog # 627 on Lisa's event blog and I hope I win! Hi Connie - pleased to meet you. Thanks for visiting my blog! Please enter me in your drawing! Thank you for stopping by my blog and leaving a comment. You are having a lovely giveaway here on your blog and I think I like the wreaths book best. I hope you're having a good time. Happy OWOH! Hi, Wasn't sure how to get a hold of you (there was no contact info on your blog), so I'm replying to this post. You signed up for the glasses necklace giveaway on my blog http://myheartartbygeri.blogspot.com/2011/02/what-another-giveaway-yes.html It's a little confusing, because I'm part of the OWOH and I'm also having a separate giveaway on my blog. To be eligible for the glasses necklace all you need to do is leave a comment and become a follower of my blog. You left a comment, but I can't find you on my Followers list. If you're still interested, the giveaway runs until the end of February, so there's still time to sign-up as a Follower. Thanks! I've enjoyed browsing through your blog. I love the white on white post. Thanks for visiting my blog. I would be delighted with either gift, but the cookbook is right up my alley! I've always wanted that cookbook! Count me in! And thanks for stopping by! I hope you're enjoying OWOH! Hello from New York! My husband and stayed in Cody a couple years ago on our way to visit Yellowstone N P! I even blogged about the Cody rodeo -- we had such a good time watching it! I love to cook so the cook book caught my eye. It's nice to find your lovely blog. My e-mail address is in my blog profile. I'd be thrilled to be one of your winners! I’ve enjoyed looking through your blog! Stop by and visit mine, if you haven’t already, for a chance to win my door prize. In the meantime, I hope this journey is as fun for you as it is for me.